According to reports, Kahlon has been recruiting some of the most famous “activists” in Israeli business, known for their price-cutting. Although Moshe Kahlon announced last week that his Kulanu party was officially open for business, not much besides the name is known. However, according to reports, Kahlon has been recruiting some of the most famous “activists” in Israeli business, who, like him, have taken the lead in practical reductions of the cost of living for Israelis. A report in Globes Sunday said that among the candidates to run with Kahlon will be Itzik Alrov, a hareidi Israeli from Bnei Brak who was the catalyst for the “cottage cheese protests” several years ago. It was Alrov's Facebook page on the high cost of dairy products that set off a chain reaction that led to mass protests about costs. Another prospective member of Kulanu is Avi Katz, a member of the Religious Zionist community who is Israel's “father of five shekel coffee.” Katz is the owner of the Coffix chain of coffee shops, which sells everything – coffee, juice, cakes, and sandwiches – for five shekels. In the wake of Coffix's popularity, other five shekel chains have sprung up around the country, and even “traditional” coffee shops have cut costs in order to meet Katz's prices. According to some reports, the party may even include the penultimate Israeli bargain maker – Rami Levy, head of the eponymous supermarket chain – on the list. Levy's chain is known for discounting, and for running specials on basic items like chicken, which he sells for 5 or 10 shekels a kilo, especially around holiday time, when other chains raise their prices. 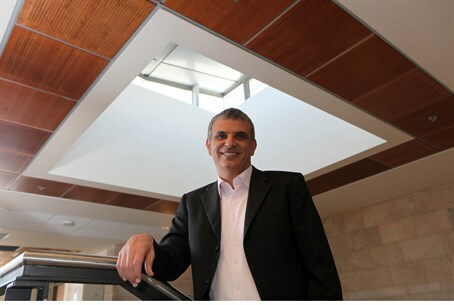 Kahlon himself is credited with lowering cellphone service prices significantly. Reforms that he undertook while Communications Minister turned Israel from one of the world's most expensive markets for cellphone service to one of the cheapest.